Time for my August Beauty Box 5 Showcase!! It is August and that means time to reveal what was inside my August Beauty Box 5, from www.beautybox5.c0m! If you are unaware this is a monthly subscription box you can sign up for. They will send you fun beauty products each month for you to have, some items are samples, and others are full size. It is a great way to try out new products! Purlisse Pur-Protect SPF 30 – Shields your skin from harmful rays, without greasiness! Lightweight moisturizer that is good for sensitive skin. La Fresh Travel Lite Makeup Remover Wipes – This is the second time I have received these, and I absolutely love them! They work great at getting all your makeup off, with the pre-moistened formula. They don’t irritate or dry out my skin! 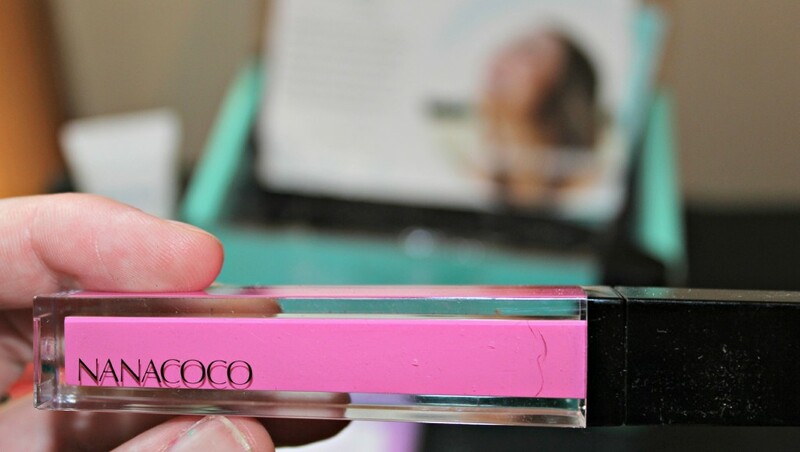 Nanacoco Lip Gloss – I received the color Mysterious, it is a color and shine without stickiness. It is so smooth and silky on the lips, I absolutely love how it applies! It does have a lot of color, sometimes it may look bright in the package but when you go to apply you can even tell you have anything on. Not with this one, you can see the color! Novex Brazilian Keratin – Feeding your hair is something we may not think of! This keratin is hair food that works on all hair types, it nourishes the skin and renews the hair, leaving it looking silky and soft! Just massage into the hair post-shampoo, then allow to sit for 25 minutes, then rinse off, for the smooth and shine you have been wanting! Style Essential Nail Polish – Last but not least I received this green color polish. It is weird their is no name of the actual color I got on the bottle. It is a bold color that can really add a pop for you! I prefer other colors like pinks, reds and such. 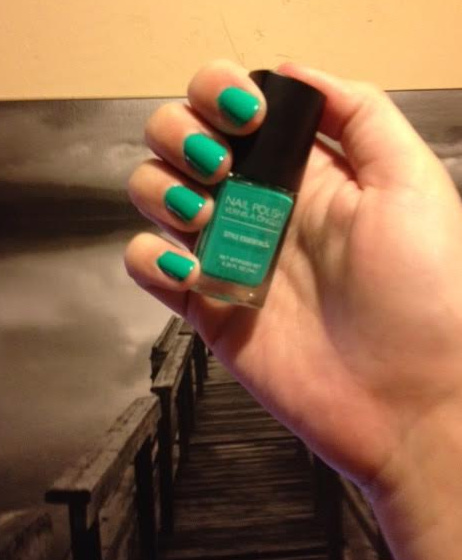 To have bold green like this, I would normally use it for nail art vs. painting the whole nail. But for the showing I wanted to do the whole nail so you could see what it looked like. It applied well, and seemed to last good on the nails. Overall I love the products I got. Granted I would have picked a different nail polish color but everything else was a hit! I love trying out new products, and this is a very easy affordable way to do it! 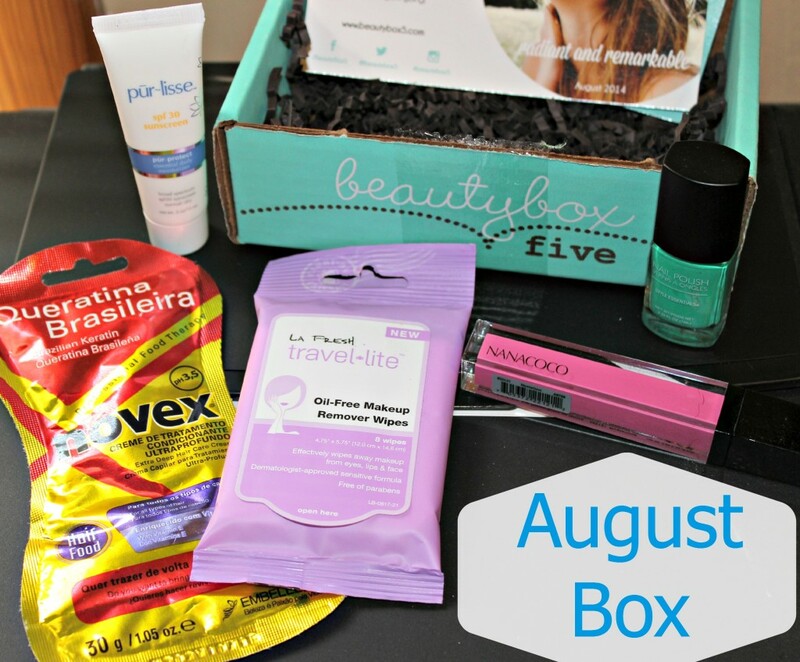 If you love beauty products, check out Beauty Box 5, and see if it could be a subscription box you might enjoy! Do you love trying new Beauty Products like me?